ISLAMABAD:�Despite the fact that the electricity generation shortfall stands at about 30%, the Pakistan Electric Power Company (Pepco) has been resorting to load shedding lasting more than half a day. This inequity between electricity supply generation and load shedding was observed by a three-judge bench of the Supreme Court, headed by Chief Justice Iftikhar Chaudhry, on Monday. �Load shedding is being observed after every alternate hour, with no electricity for 10 to 13 hours a day, this is almost 50% load shedding every day,� remarked the chief justice after he was told that 12,770 MW electricity was presently being produced against the demand of 17,800 MW, resulting in an estimated shortfall of 30%. The bench expressed its surprise at the information provided by Pepco Managing Director Muhammad Zargham, with the chief justice noting that according to the reported shortfall, only seven to eight hours of load shedding should be observed. Confronted with these numbers, Zargham explained to the bench that certain sectors, including military installations and hospitals, were facing fewer hours of load shedding, increasing the pressure on other areas. Briefing the apex court on the reasons for reduced electricity generation, Zargham said that while the units at Tarbela were operating at full capacity, electricity generation at Mangla had been reduced by 450MW after a decrease in water discharge at the dam. An official of Indus River System Authority informed the court that the water discharge at Mangla had been reduced to save water for the summer months. Another 1100MW of electricity could be added to the national grid if power production units operate at full capacity, according to MD Pepco. Despite a payment of Rs2.5 billion to respective power units, independent power producing units are not producing electricity at full capacity. Zarghan informed the bench that another 300MW of electricity could be added to the grid by three IPPs, who are currently not producing electricity and are engaged in litigation with the government in Singapore. 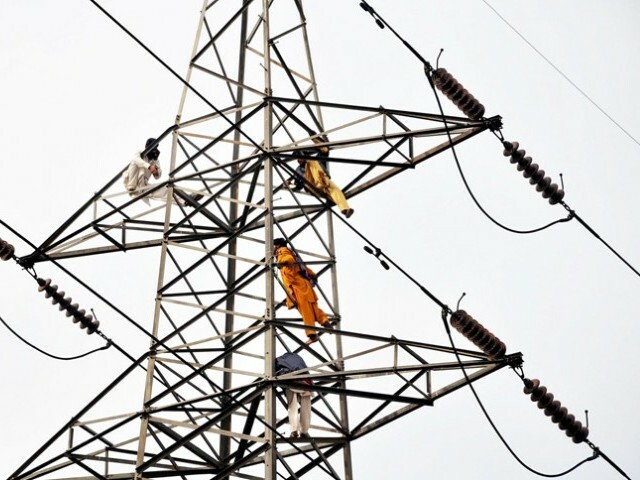 The apex court bench directed the government to take legal recourse against the three IPPs and suspend their licences if they did not start producing electricity. A staggering sum of Rs384 billion in dues is still outstanding with Pepco, with Rs239 billion to be paid by private consumers and the rest by public sector consumers, according to MD Pepco. Yet, distribution companies are not ready to conduct heavier load shedding in areas with the most outstanding dues. �If load shedding in the areas from where bills are not collected is increased, it will lead to protests and attacks on the grid stations,� quipped Zargham. Meanwhile, the All Pakistan Textile Mills Association (APTMA) filed an application with the bench accusing Pepco of flouting the SC�s earlier orders for equitable load-shedding. In the application, APTMA informed the court that Pepco was now observing 10 to 12 hours of load shedding compared to only six hours before the court order.